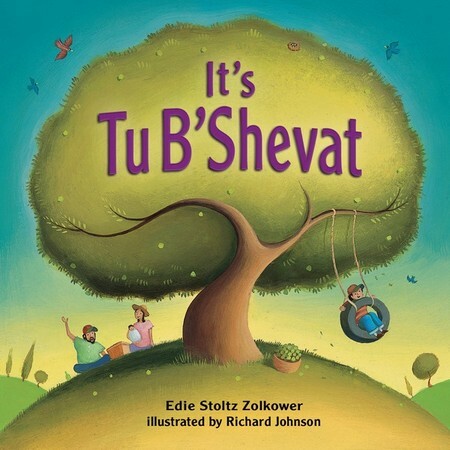 Rhyming verse and brightly colored illustrations tell the story of a boy and his family planting a tree for Tu B Shevat and watching it grow. This board book is just right for little hands. The simple rhyming text moves fluidly from one page to the next and the slightly stylized illustrations, in a soothing color palette, are serene The concept of yearly growth is conveyed nicely. This is a perfect book to introduce the holiday to toddlers.